If you’re thinking about purchasing a franchise, you’ve probably been focusing primarily on what this decision can do for you. You’ll be a business owner and, provided you’ve done your due diligence and possess the requisite business skills, you’ll have the opportunity to make a profit. As exciting and important as purchasing a franchise can be for you, it’s also a huge benefit for your community. Here’s how every stage of the process can help your community. Once you’ve gotten the paperwork from the franchisor, you’ll need to have a franchise attorney evaluate them for you. 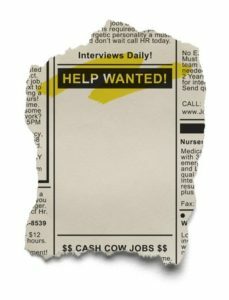 If you choose a local franchise lawyer for this job, then you’re already putting money back into your community. That lawyer will spend the money you pay them in the community, and pay taxes that go towards your community, as well. The vast majority of franchisees need to take out small business loans to come up with the money necessary to purchase a franchise. If you’re a member at your local bank or credit union, that’s probably the first place you’ll go when you’re in need of a loan. Since they know you already, they’re more likely to approve you for a loan, as they want to keep you satisfied as a customer and they’ll know your financial history. That means you’ve brought business to a local financial institution, and you may bring your business back to them should you need to expand in the future. 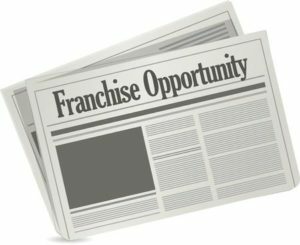 After you’ve actually bought your franchise, you’ll need to set up its location to the franchisor’s specifications. This may mean that you need to hire a local architect. You can definitely expect to hire plenty of local contractors, including carpenters, electricians, plumbers, painters and more. You could go elsewhere, but when it comes to contractors, choosing someone local is usually more convenient and less expensive. Before you’ve even had your Grand Opening, you’ve already benefited your community quite a bit. Maybe you decide that the best way to reach potential customers is through advertisements on your local radio stations that they’ll hear on their way to and from work every day. By purchasing radio advertising, you’re contributing to other local businesses, which will then spend that money within the community and use it to pay the salaries of their employees, who also live within your community. Perhaps your town has a local newspaper that everybody reads. You could pay for advertising in there to get more eyes on your business. Don’t forget about the power of the internet, either. Almost everyone is online nowadays, so you can spread the word about your franchise quickly using advertising on local websites. The great thing about advertising locally is that for the most part, that money you spend is going to stay local. The end result is the same – more money is pouring into your community, which is a win for everybody. One great way to market your franchise that usually won’t cost you a dime is co-marketing. Co-marketing is exactly what it sounds like, as you and another local business team up to both market each other. You two may produce something together, or you could advertise each other in your respective businesses. The best part about co-marketing is that everybody wins. You each receive free promotion, and it’s likely that you’ll each receive plenty of new customers through your co-marketing efforts. People who shop locally at one business typically do quite a bit of their shopping at local businesses, which means every person who sees your franchise advertised in another business is someone who fits your target market. There’s really no downside to co-marketing, and if it works, both you and the business you partner up with are going to benefit, resulting in two successful local businesses instead of one. Since it’s free, you can also choose to co-market with several different local businesses so you all benefit from it. Most franchise owners don’t do everything alone, as running a franchise is quite a bit of work and far too much for one person to handle on their own. That means you’re going to need to hire employees to help you out. The second you hire your first employee, you’re a job creator for your community. You’ll be paying that person a salary, and they’ll probably spend quite a bit of the money you pay them within the community. Once your franchise is up and running, every sale you make is helping out your community in the tax revenue it generates. Your community will then be able to put those tax dollars towards better public services, the public school system, the roads and anything else it needs. The more successful you become, the more your community benefits, as well. There’s a reason that mayors often show up when a new local business launches, and it’s because they appreciate that there is going to be more money coming in to the community. A big part of purchasing a franchise is about you. It is your decision, after all, and you’re the one who is taking the risk for the opportunity to own a business and be successful. However, the launch of a new franchise affects the whole community in a positive way. Not only does it generate a sense of excitement to have a new business in town, but it also brings in money for the community before you even open your doors.